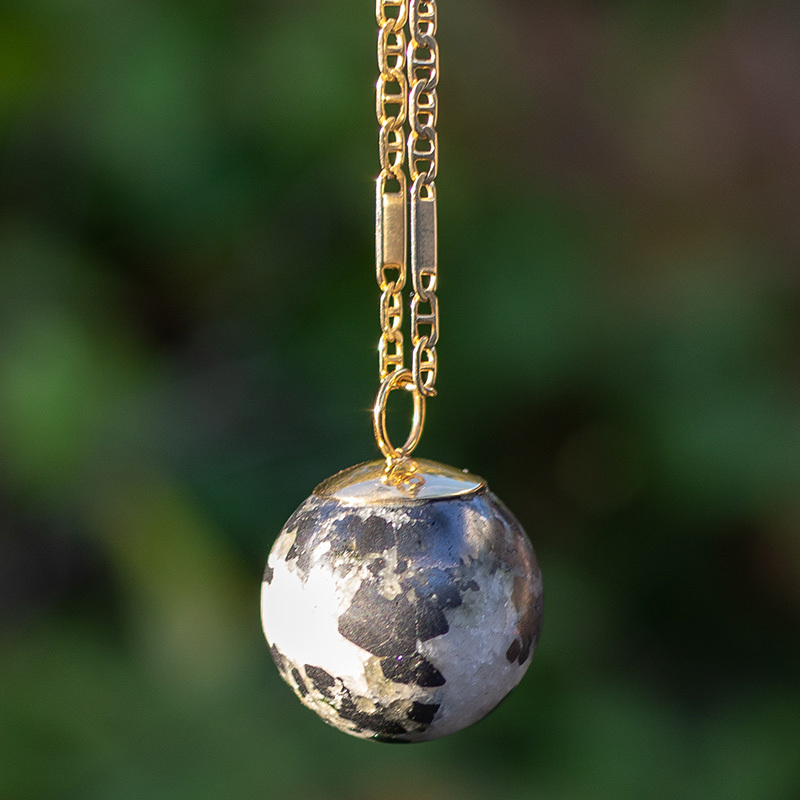 While the EoE Vogel pendants tend to direct the energy more vertical and opening up the sushumna (kundalini) the EoE spheres spread the energy evenly in all directions. 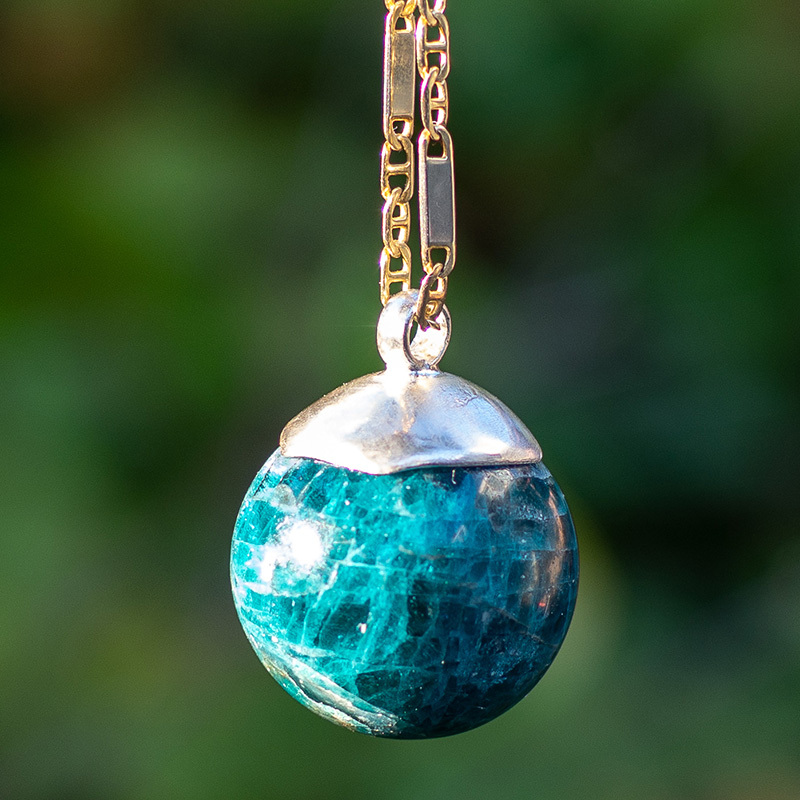 It is best to wear them near the heart area as that is the center of all energy when the ego has left the building :) As with all the EoE crystals, the EoE energy calms the mind, opens the heart and activates life within. 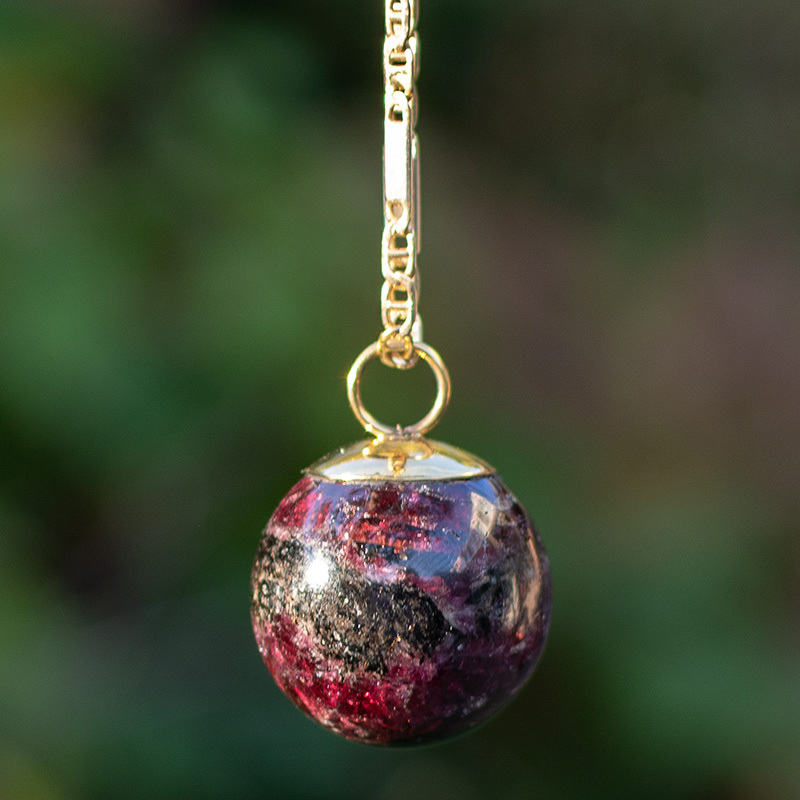 The EoE Blessed You are is a garnet crystal from India with golden fitting and the EoE energies are more grounding and opening for the lower chakras. The EoE Self-Empowerment is an apatite crystal from Madagascar and holds the full potential of the EoE energy. It comes in 4 options - small size is a sphere of about 25mm diameter and the large is about 30mm and they are fitted with a golden or silver holder. It is the most powerful pendant we have. 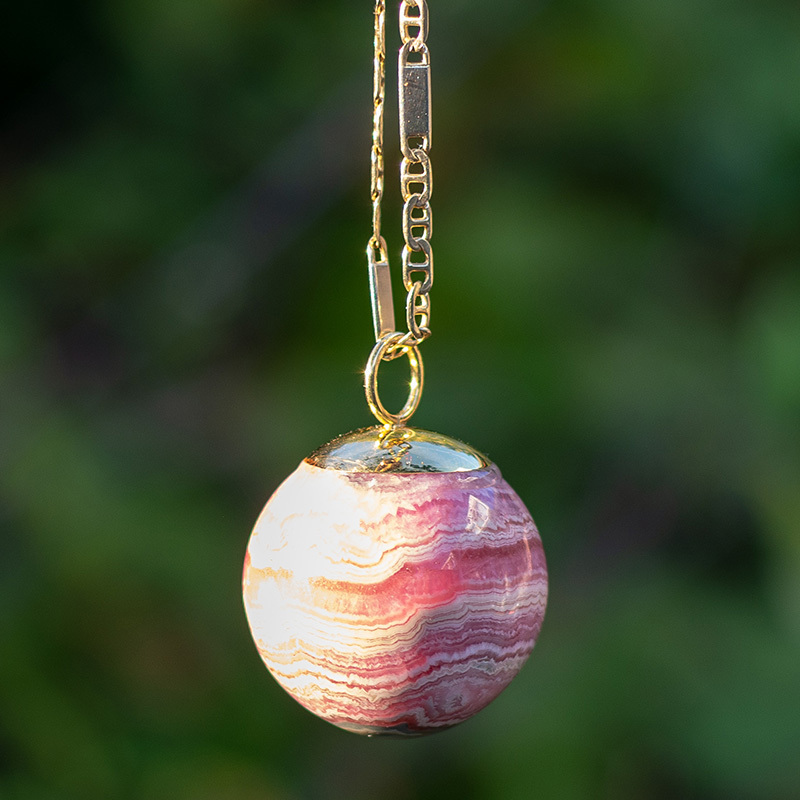 The EoE Happy Heart is a rhodochrosite from Peru with golden fitting linked and permanently energised with the EoE energy and is very grounding and heart opening at the same time. It really brings the love into ones life. It also creates a large energetic sphere around the body that clears all negativity and leaves behind a silence and blissful heart. The EoE Buddhistic Touch is a saamite crystal in magnetite from the Kola mine in Russia with golden fitting. Saamite is a special type of apatite. It creates a sort of large Buddhistic sphere around the body that clears all negativity and leaves behind a silence and bliss like no other product. The golden fitting is put together in Crete, Greece and is hand made. The necklace is not included.